New York City, New York, deemed the cultural capital of the world, is a group travel magnet for visitors from around the globe. With an abundance of tourist friendly attractions, tours, museums and activities, the vibrant city of New York is a perfect group destination for reunions, student groups, charter groups, special events and incentive travel. The entertainment options for your group are plentiful. See the New York City skyline from the top of the Empire State Building or Top of the Rock observation deck at Rockefeller Center. Tour the fascinating NBC studios or let someone else do the driving while your group boards a double-decker bus for prime photo opportunities. Get up close and personal with Brad Pitt at Madame Tussaud's New York museum. Arrange a group trip to the Metropolitan Museum of Art. 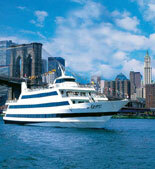 Plan a lunch or dinner cruise around the Statue of Liberty and enjoy views of the New York and New Jersey. What ever suits your group, Trusted Tours and Attractions can help you plan the entertainment for your group tour or gathering. 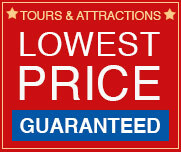 Trusted Tours & Attractions is an experienced and reliable name in the travel industry. You'll feel at ease working with our staff knowing that they're the best choice for assisting you in your New York group travel plans. We work with only the best tour suppliers in New York so group travel planners don't have to spend precious time reviewing the numerous tour and attraction options. 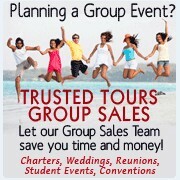 Our staff will work closely with you to help plan a successful and stress free group experience. 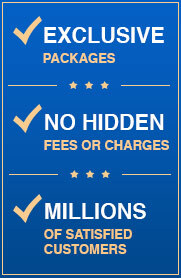 Trusted Tours offers competitive group rates and can help you save time and money. 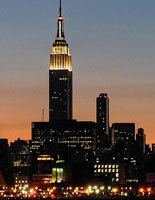 We provide a one stop solution for travel planners looking for group entertainment options in New York. Contact us through our Group Sales Request Form and we'll help you plan a trip to New York that will have your group thanking you!